Item # N104 6 x 18oz. Original BBQ Sauce - Includes Shipping $57.18 6 x 18oz. 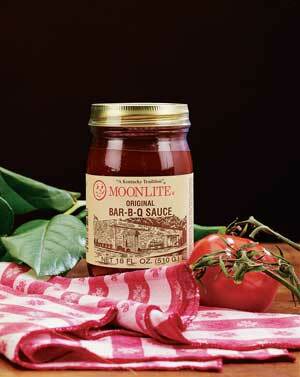 Glass Jar of Moonlite's Original Sweet Tomato Based Barbecue Sauce. This is one of the sauces you will find on the table at Moonlite.